Are You Handling Forklift Propane In Mississauga Safely? 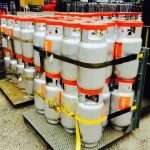 If you use forklift propane at a Mississauga business, chances are you’ve become so accustomed to the cylinders and gas usage that you may have forgotten just how flammable propane is. Technically, propane is classified as a hazardous material, which means safe handling procedures are a must. One of the safest things you can do to protect your employees and your facilities around propane is to arrange for propane tank delivery and pickup through Josef Gas. Refilling your own cylinders on-site is dangerous and comes with its’ own set of government safety requirements. When you partner with Josef Gas, you can skip that hassle and always have propane ready when you need it! Do not allow smoking while handling, or even in the vicinity of, propane cylinders. If you detect a leak, close the valves and place the cylinder in a well-ventilated area. Do not attempt to repair a leaking cylinder yourself. Contact Josef Gas for a replacement tank. Always wear proper eye protection and gloves when handling forklift propane. Direct skin contact with the gas can cause freeze burns. Be sure to close all valves when the tank is not in use. Store cylinders away from any source of ignition, including extreme heat. Always read warning labels attached to propane cylinders. 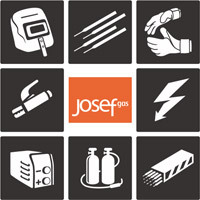 How easy is it to get forklift propane to a Mississauga business from Josef Gas? As easy as calling 416.658.1212! With just one call we will be able to get your business set up on a regular delivery schedule. We’ll start you out with as many cylinders as you need to get you through to your next delivery. As you empty your cylinders, set them aside for us and we’ll exchange them for full tanks on your next delivery date. Have an unexpectedly busy week and need more propane? No problem! We fill propane cylinders right at our facility in Concord, ON and operate our own fleet of delivery trucks – we can get your propane anytime you need it, even if it’s not on your regularly scheduled day! Don’t risk employee or facility safety. Contact Josef Gas for safe and professional delivery of forklift propane in Mississauga today! Call 416.658.1212 or contact us online to get started!